Today is National Kindness Day – the celebration of kindness, compassion and empathy towards others. Here are 5 simple ways you can be kind to yourself and to others today, and every day! Being kind to others starts with you. After all, you need to look after yourself to be able to look after others. These fresh, bright and beautiful autumn mornings are just crying out for a gentle stroll to fill your lungs with fresh air and energise you for the day ahead. Why not invite a friend along to walk the dog or go for a walk and catch up today, you will both feel better for it! Connecting with others and building relationships is one of the most important things we can do to improve our wellbeing, and it’s also a great way to be kind and show compassion. When was the last time you checked in on a friend or an elderly neighbour? Smile at and compliment a stranger, you never know what people are going through and a small act of kindness can change someone’s day entirely. As we approach the season for good-will there is no better time to be neighbourly and focus on your local community. Reach out, it will make you feel wonderful too! Giving to others is a kind thing to do and something that can be done so easily, expecting nothing in return. Choose today to go through your cupboards and drop a bag of warm clothes off to charity. Warm blankets and old sleeping bags would be gratefully received by homeless shelters, a homemade soup or casserole takes no time to make and an elderly neighbour would be delighted to receive! Make a list of Christmas gifts, who deserves a thank you? The children’s volunteers at brownies or football, the freezing cold postie delivering all your xmas gifts from Amazon already! How about the bin men who do a thankless task every single day of the year. A little thank you to your team makes coming to work all the more rewarding – today is the day to just say “thank you”. We love this little book of kindness, a perfect stocking filler! Do your children know its World Kindness Day today? How can we encourage our children to be kind to others? To share, to listen and to understand? Christmas is the perfect time to think of others less fortunate and show children that Christmas is not just time for presents and over indulgence! Are there any local food banks or homeless shelters who would be happy for a visit, if so why not take the children along and teach them the act of being kind. 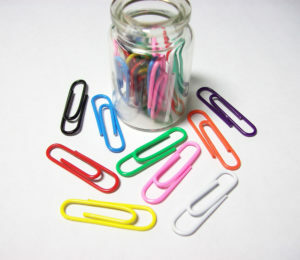 Homemade gifts for classmates, teachers and neighbours is a great place to start. 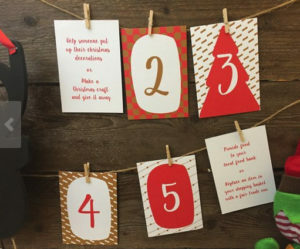 We love this alternative advent calendar idea, what a great way to demonstrate kindness and show what really matters. Often we go through life on auto-pilot, missing everyday acts of kindness offered to us and opportunities for us to be kind. Today is the perfect day to put simple acts of kindness into practice: smile at someone on your way to work, take some extra time to listen to a friend in need, buy a coffee for a stranger, give up your seat on the train, bring home a bunch of flowers for a neighbour. There are so many ways to spread kindness, and make a difference to someone’s day. What little acts of kindness have you shared today? We would love to hear them!